As the owner of an online business, you probably know more than anyone the importance of having well-built site that is easy to navigate. It’s impossible to take your business to the next level without a well-designed site that provides a good viewer experience for your potential clients. In today’s technology-driven age, it’s essential to have a well-designed website in order to stay competitive in the tough market and attract the maximum amount of potential consumers and clientele for your products and services. There are many sites that give customers a way to make a purchase, but what can be more difficult to find and also to deliver to your potential customers is a great overall experience throughout the entire digital journey, from discovering your site to the decision to purchase. Online competition continues to increase year after year, meaning that margin pressures also continue to grow, and your audience is becoming ever more and more discriminating. This is why effective eCommerce website design becomes more critical all the time. While there are best practices in eCommerce, there are no real “magic formulas” that guarantee success for your business. In order to achieve success for your eCommerce business, you need to balance business savvy, brand strategy, user experience, content, and intuitive design. In order to achieve this delicate balance and get the right ingredients for success cooking, you will need to find your “sweet spot” with all of these factors. To hit on this sweet spot, it will require willingness to continuously and constantly test in order for your business to iterate and learn. When you partner with MyCity Social, a top digital marketing firm who provides SEO Tampa business owners rely on, we can help you get your business to the visibility that you need it to be. Not only do we have many years of experience in eCommerce, we also can help to apply an in-depth, problem-solving approach to your brand and business challenges as we work with you to formulate a digital marketing strategy and drive your brand forward. One of the essential components of success for your eCommerce business is a well-designed website, as noted above. This is why it’s so important to hire qualified e-commerce website designers in order to provide the best experience for your consumers that will keep them coming back for more. Read on to learn more about the importance of experienced e-commerce web designers for your business, and what to look for. If you’re in need of SEO services and further digital marketing advice for your business and brand, call MyCity Social today for a consultation! A sales team in the offline world is able to help guide customers through the sale. When shopping online and engaging in your eCommerce business, this sale experience is then left in your customer’s hands. This fact alone makes it so crucial to have your eCommerce site be as helpful as possible in order to create a buying experience that matches (or better yet, improves upon) a customer’s offline experience. Users become customers and customers become brand champions through great experiences, and you need to build enough trust with your potential customers and clients to turn browsers into buyers. In order to build a solid relationship with your audience and keep them buying and coming back, you will need to create an engaging and meaningful shopping experience. 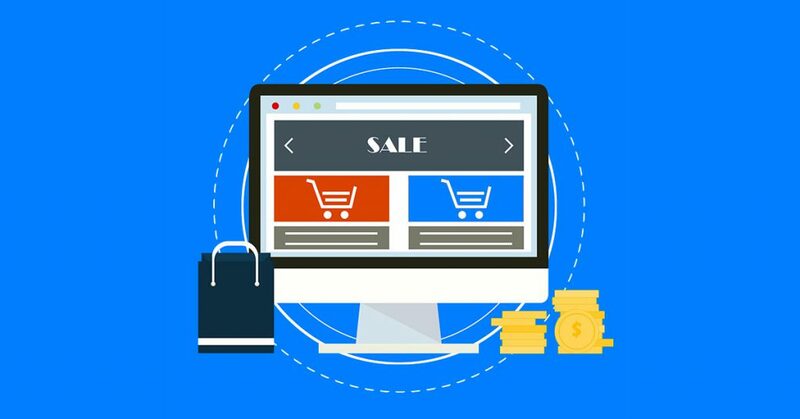 As prospective consumers current buyers expect quite a lot from your website, there are eCommerce website must-haves and essentials that are undeniable in today’s market. Your consumers and potential clientele will be expecting useful, engaging content, effective ways to engaging with products, effeicient checkout, clean design and consistent branding, and organization and navigation that work for both search engines and people. However, we all know that simply following a set of guidelines can only take you to a certain step, and it’s important to keep in mind that a user-friendly digital storefront only makes up about half of the overall equation. The other half of the equation consists of a deep understanding of what your audience actually requires and to deliver a shopping experience that educates, actively resolves issues, meets objections in a reasonable manner, and creates a brand that is truly memorable and lasting. For many companies, their eCommerce site isn’t just a new channel for their products, but also their first step towards digital transformation at scale. This means that in order for a site to work as it is advertised, offline processes are required to be constantly intelligently reimagined and digitized in ways that meet carefully defined business requirements. This is why it’s so important to have a website that is designed to take care of the scale and type of business that your company is currently in. Think about the following: Does your business typically fulfill larger orders or smaller ones? How often do you introduce new products? Every year or every single week? What’s the discounting and promotional strategy that you’re going to implement? What products are usually bundled or re-ordered? These questions are not just passing considerations, but are critical to your mission, or if they aren’t, they should be. MyCity Social have years of experience working with clients in eCommerce, and we take pride in providing eCommerce website development that helps to set up the brands of our clients for digital growth at scale, while making sure customers are getting the unique experience they demand. The key is to combine these two components efficiently. When you are able to combine these two factors efficiently, good things usually happen for your business! The key to growing your business that we at MyCity Social are able to work with you on is to attack the challenge of a eCommerce business from multiple sides- we not only step into the shoes of your customer in order to provide them with t he best possible online shopping experience, but also familiarize ourselves with your business and what it needs in order to make us a true digital partner who can provide the most efficient strategy to help your business grow. We at MyCity Social can work with you to put together a user-focused strategy and partner with you to help you define your online sales process in order to give you a website that creates a bespoke digital experience, from the front-end features to the back-end functionality. We at MyCity Social believe in constant innovation and taking advantage of digital marketing (encompassing SEO, SEM, and more) to the fullest, and if you’re constantly testing and evolving, improving the user experience, and exploring technologies such as personalization and AR/VR, it’s pretty possiblew that you’re just leaving money on the table for your competitors. This is why it’s so important to optimize your website not just through SEO and search rankings but also through a comprehensive website design. User experience in the world of web is mostly reliant upon how well the user browsing your site is able to get the information that they are seeking. In the world of eCommerce, user experience is one of the key components that helps to make an increase in your business sales and it’s also important to keep this concept in mind when designing your eCommerce website in order to generate more sales. One of the keys of the website desogn process that experienced designers keep in mind is understanding what a customer wants and how they feel while browsing your online store. Of course, website design is not only restricted to the overall look of the site, but also how a customer feels and what experience they gain while browsing your eCommerce store. After all, it’s all about closing the sale through their experience and to keep them coming back through key aspects of your eCommerce store design. Your eCommerce store design can have profound impacts on your sales and brand development. What takes your business ahead in competition is brand awareness- brand awareness is what takes your customers to start purchasing from your store. Your brand should be present in your online store design, and should be consistent across all your online presences in order to produce a look and feel that attracts the customers you are aiming towards. This is due to the fact that your website look is what reflects the circumstances of your business as well as the face that you put on your products. No matter how you are presenting yourself, online or offline, your brand and design reflects the face of waht you are showing to the world and to your potential consumers. If customers experience a consistent look throughout your website that helps them in identifying the correct products that they are looking for, that helps to clearly establish their user experience. This is why it’s important to hire experienced designers in order to design your website so that each element complements your website logo well, including the right selection of images, colors, text, layouts, and features in order to reflect the correct brand identity. The overall look and feel of your website has been shown by studies to contribute up to 94% of a user’s first impression. If your website accomodates poor interface and lacks user-friendliness, then your first impression with shoppers plummets and your site and brand can face rejection and mistrust by potential clients and customers. When a shopper first lands on your website, the website design and navigation are major contributing factors that help to create a first impression of not only your website but also your brand. In order to convey the type of products you offer and how serious you are, it’s essential to implement the right design and present your website the best way that you are able to, as it is the foremost way to grab customer attention. Bounce rates can be quite scary to look at for your business. Bounce rates illustrate the session where your shopper has left your website without navigating your website further. There are several factors that contribute to your bounce rates, and one major concern lies with poor website design. Your customer is informed about your products through great design, and your website design is what informs the customer that they’re going to the right place to find the products that they are searching for. If your potential customers at any time feel that it’s difficult for them to locate the product that they’re searching for, or that the products are not what they’re looking for, they may immediately leave and you’re losing business. MyCity Social, who provides SEO Tampa businesses trust, notes that customer first impression can be based on elements such as the business name, product sold, business type, location, brand quality, and more. If these factors are not considered during the designing of your website, then the customer may be discouraged and you may potentially lose business. Hiring experienced e-Commerce website designers is crucial for your eCommerce business. Contact MyCity Social today for SEO Tampa business owners recommend!